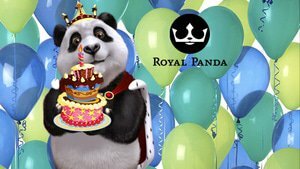 Royal Panda Casino is celebrating it's birthday all month long except it's the players who get to open new presents of casino bonuses and cool gadgets every week! The first week deposits of $25, $50, or $100 or more matched by 45, 90, or 210 Free Spins spread evenly across Tuesday, Wednesday, and Thursday. These spins are only for Starburst by NetEntertainment. The cool gadget this week is a Parrot Drone which will be won by the user with the highest combo between March 2 and 6, 2015. Week 2 sees players who visit the site's Facebook page the chance to take home $100 per hour from 4am to 4pm EST on March 10. $1200 will be given away through account credits via hourly announcements to players who are active on the social media page at the right time. For the third week, on March 17th, make a deposit and get 50 Free Spins for another great game from NetEnt, Alien Robot. These are shared half and half between Wednesday and Thursday. On the 20th, the player with the highest combo in the game will unwrap a Robodog. The final week features another NetEnt video slot machine, this time Dead or Alive, where 20 Free Spins are available on the 26th for any deposit during the month. 20 more are up for grabs on the 27th for having deposited the day prior. On the 30th, the player with the highest combo will be the lucky winner of a GoPro Hero 4! Head over to Royal Panda to wish him a happy birthday and get ready to collect your share of his presents all throughout March 2015. While there, new players can also claim up to $100 through 100% deposit matching!